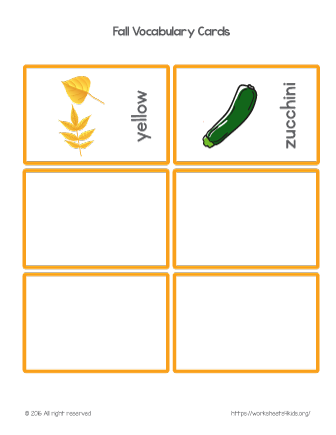 This fall flashcards are amazing resource for little learners to learn new words and enrich their vocabulary. 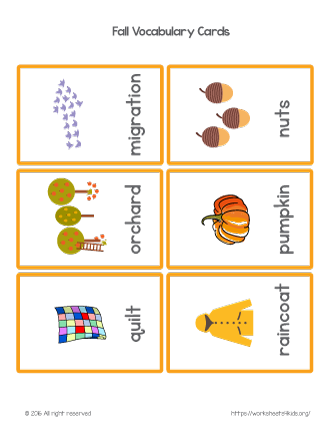 Engaging fall vocabulary flash cards make a real impact on visual learning and are a great way to introduce new words. 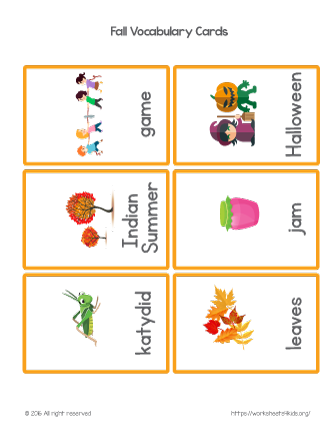 Attractive and interesting autumn vocabulary cards are a great way to introduce and explore new words. 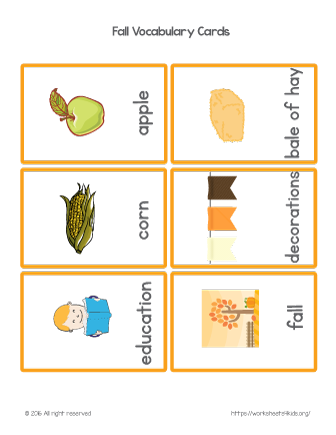 With these fall themed vocabulary flash cards, you can play fun games with your little ones. 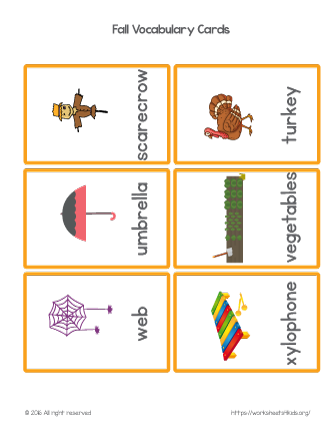 Fun autumn vocabulary flash cards are a great way to enrich your child’s vocabulary and play fun games. 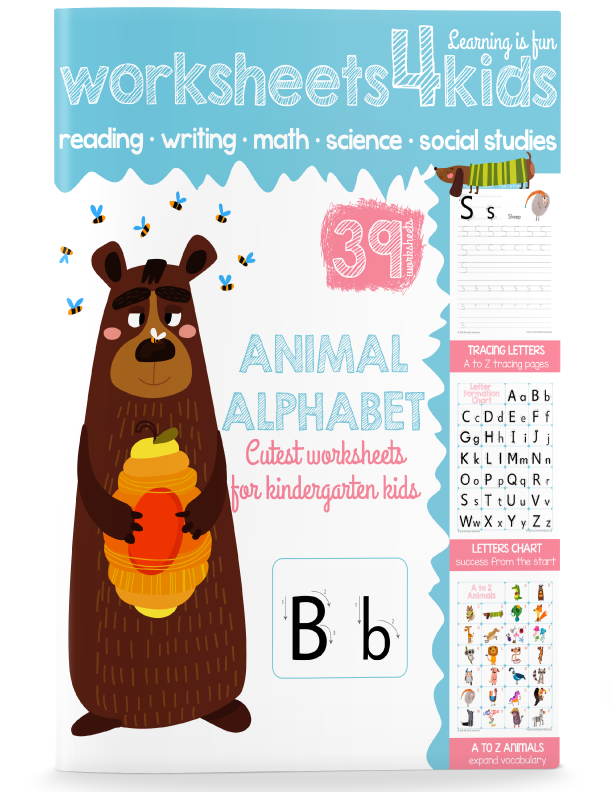 Flashcards help children easily remember new words. Encourage kids to describe each word they already know. 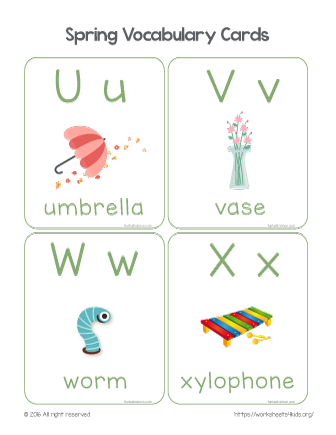 Colorful flash cards cards feature four words related to spring: umbrella, vase, worm, and xylophone. 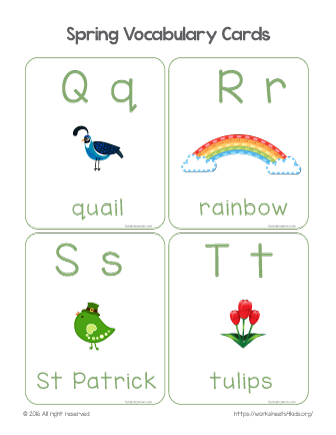 The set 5 covers letters Q to T and includes words about spring: quail, rainbow, St Patrick, and tulips. 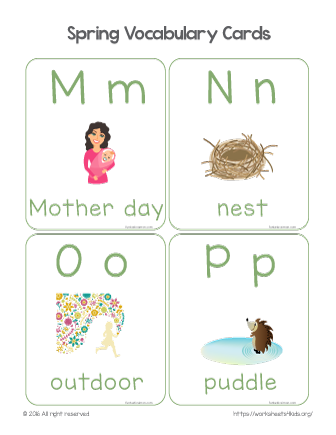 M is for Mother day, N is for nest, O is for outdoor, P is for puddle… Free Spring vocabulary words flash cards. 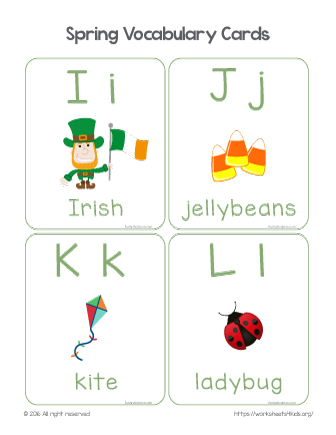 Set of colorful spring-related words flashcards includes words Irish, jellybeans, kite, and ladybug. Encourage your child to describe word he already knows. 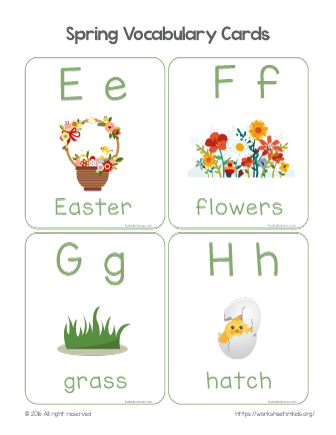 Words in this set: Easter, flowers, grass, and hatch. 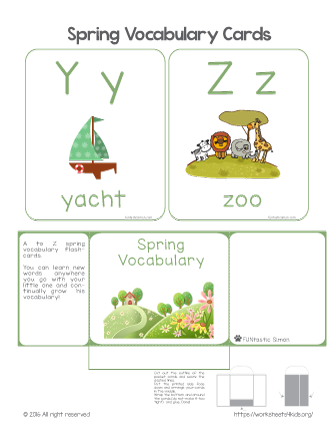 Colorful spring vocabulary cards with pictures. 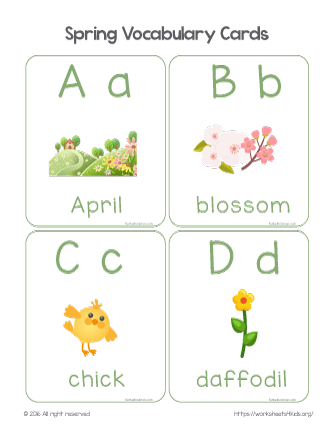 Words in this set include April, blossom, chick, daffodil.